Nancy Mistretta has been a member of the Board of Directors of GAM Holding AG since April 2016. She has also served as a member of the governance and nomination committee and the compensation committee (since 2016), the latter being under her chair since. Nancy is a former partner of Russell Reynolds Associates, an executive search firm, where she worked from 2005 until 2009. 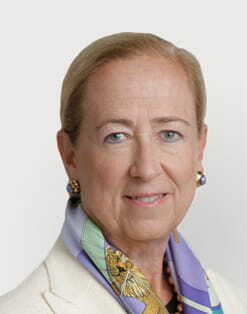 Prior to joining Russell Reynolds, Nancy was with JPMorgan Chase and its heritage institutions for 29 years and served as a managing director in investment banking from 1991 to 2005. Nancy is a director of Scotts Miracle-Gro, where she currently chairs the audit committee and is a member of the finance committee. She is also a director of the North American Holding Company of HSBC, where she serves on the nomination and governance committee, the audit committee and the risk committee. Nancy holds a BA in psychology from the Smith College. She was born in 1954 and is a US citizen.